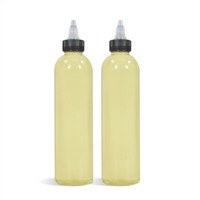 This kit makes 8 bottles of the perfect massage oil. 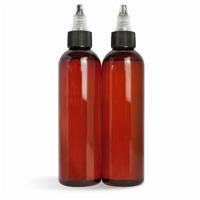 This combination of oils creates a product that has slip and glide which is meant to last the entire treatment session. 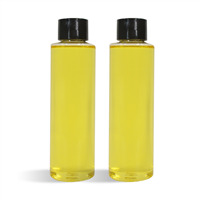 Lubricate dry skin with the moisturizing body oil made from this body oil making project. 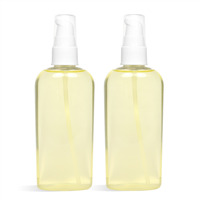 Despite the greasy nature of body oils, this body oil is quick absorbing and has a soft and silky feel. You Save $20.75 buying these items as a kit. You Save $16.60 buying these items as a kit. 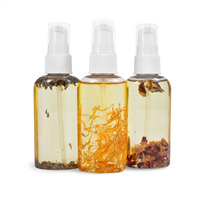 Sell these romantic massage oils at your January and February craft shows in preparation for Valentine's Day. The oil is scented with jasmine, rose, and musk with natural botanicals added including rose petals, lavender buds, and calendula petals. You Save $21.88 buying these items as a kit.